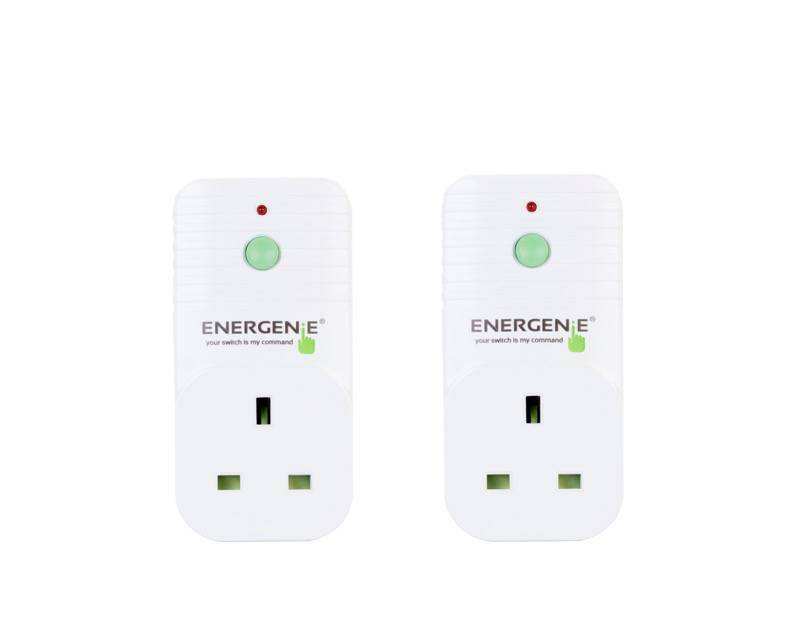 *****Download software here***** https://github.com/Energenie/pyenergenie Energenie are proud to offer users of Raspberry Pi a low cost home control solution. Our best-selling remote control sockets are now available with a controller board for Pi. 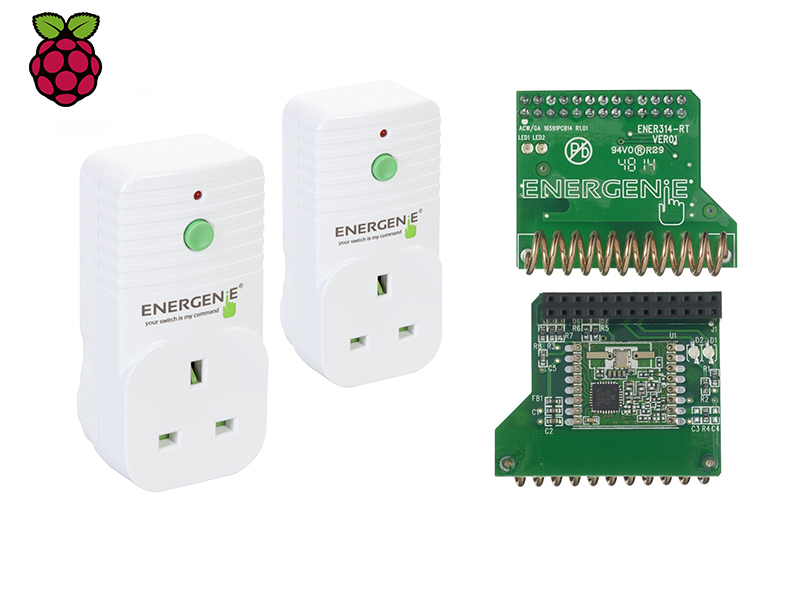 Whether you are a Pi newcomer, hacker, or Python sage you will be able to control your electrical sockets within a range of up to 30 metres, through doors, walls and ceilings. The ENER314-RT is an enhancement to the ENER314. The feature the ENER314-RT offers is it allows users to control more than 4 units as the number of messages that can be broadcast are no longer limited such was the case for the ENER314. In the pack is one Pi controller board, 2 remote control sockets ( The sockets are control only sockets which receive messages but are unable to send back a response) and a start up guide which shows how simple on/off control can be achieved. For advanced users the applications are only limited by your imagination.